25 Under 25 Vonica LaPlante Awarded MHA Champions of Change – UNITY, Inc.
“This year of mine has been such a rollercoaster of blessings, and sorrow… this year I never thought I would make an adventure to CNAY Champs for Change week in February, and July be recognized for MHA Champs for Change (Four Bears Segment). Even the fact that for My dream to become a 25 Under 25 for Unity has come true!” Vonica reflected. The MHA Champions for Change program is a Native youth leadership initiative designed to highlight positive stories of impact from the MHA Nation. 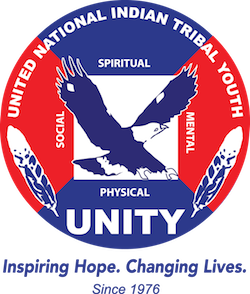 The program is modeled after the Center for Native American Youth’s Champions for Change program that was inspired by a 2011 White House initiative, which develops young Native leaders through experience-based learning and tailored advocacy training. The MHA will select seven inspirational Native youth (one from each segment and one from Bismarck/Mandan, ages 14-23) to join the Casey Families Program CFC leadership network. All applicants, regardless of acceptance, are named Youth Ambassadors. Champions are Native youth who initiate programs, events, or other efforts that are improving the lives of fellow youth in Indian Country. Champions enter a close working relationship with the MHA Education Department and the Center for Native American Youth benefit from a variety of resources that enhance their advocacy skills.